The Bas-de-Bas vineyard is a once famous, forgotten sight. An exposed cap of jagged Karstic limestone outside Alen’s village left wild for decades, until intent on finding his Grand Cru, he replanted it. Still relatively young, each vintage indicates he has indeed. The dry windy conditions and lack of water require almost no treatment. This severely limits yields, developing the concentration and vitality in the perfectly ripe grapes, the source of the wines greatness. Bas-de-Bas Crno (which means black) affirms Alen’s personal affinity and skill with Syrah, an international variety with close to 100 years tradition in the area. A genuinely black wine to be compared with the greatest wines of the Rhone Valley in France or Australia’s, Barossa. 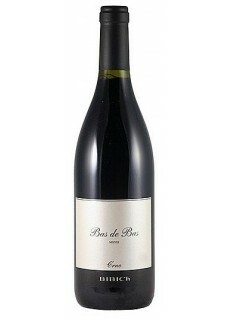 Many of Alen’s most adoring fans consider Bas-de-Bas Crno his finest wine. Among them the ever tasteful Anthony Bourdain. Food pairing: Fish roasted or baked, game, roasted steakes. Alen Bibić's mission is to bring the wines of Skradin to international prominence. By doing so, he hopes to sustain the long tradition of the indigenous white Debit and red Zinfandel relatives Babic, Plavina and Lasin unique to his home. Alen also has a taste for Grenache and Shiraz, of which he makes surprisingly Rhone-ish examples. Despite the quality of his wines and the acclaim they have received, Alen believes that the surface is just being scratched.